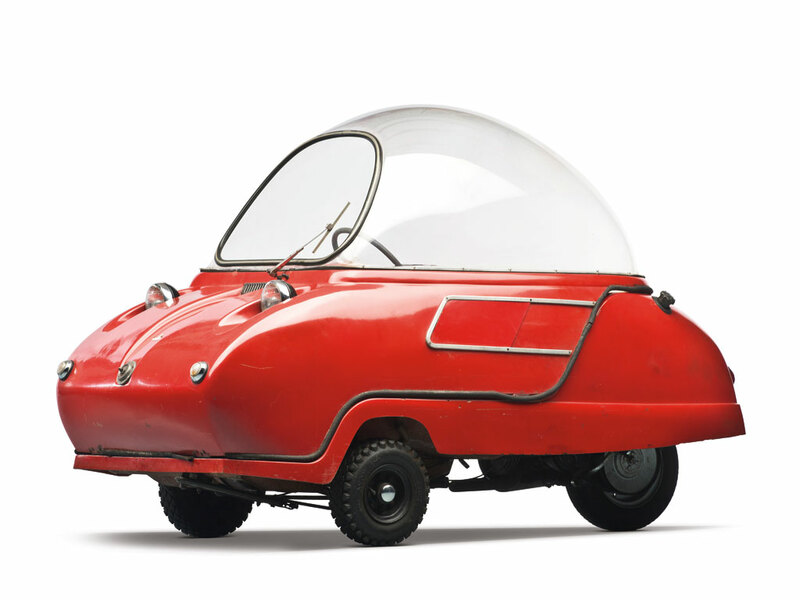 On February 15/16 in Madison, Georgia, USA, RM Auctions will be holding a sale of the entire collection from the Bruce Weiner Microcar Museum. 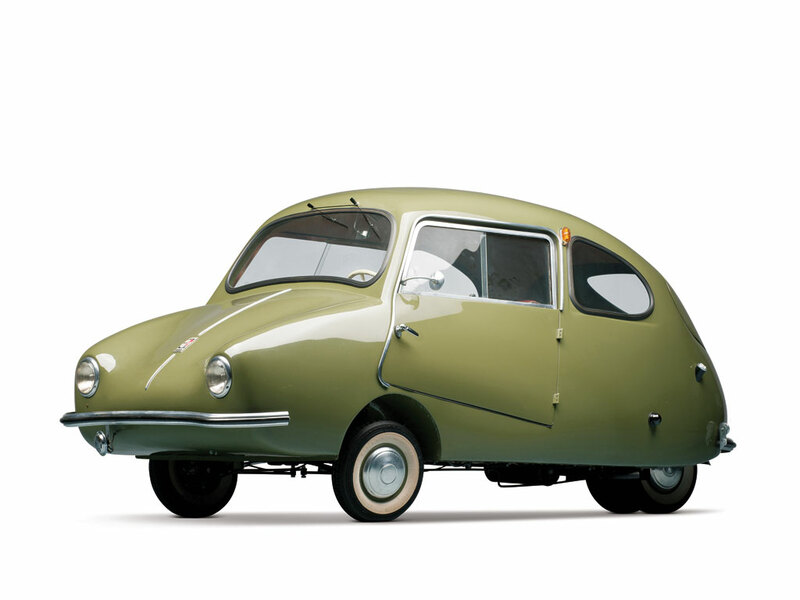 There are some 200 microcars up for sale and how I would love to add some to our ‘small’ family but we would need to have a significant win on the lottery first! Now what is strange about this auction is that it isn’t the first time it’s happened. Bruce Weiner an American who made his fortune in Bubble Gum, I believe started collecting ‘bubble cars’ many many years ago to promote his business. He went on to build a collection, opened a museum and then on the 6 March 1997 they were auctioned by Christie’s at the Jack Barclay Showrooms at Nine Elms, London. We were there and that’s what fuelled our love of small cars. That auction was amazing, there was such an atmosphere with hundreds of people crammed in and outside the showroom and prices went ballistic. Bidding was frantic with prices beating the estimates many times over, bearing in mind this was fifteen years ago a Peel Trident estimated at £3000 fetched nearly £30k and it looks like it will be happening all over again. 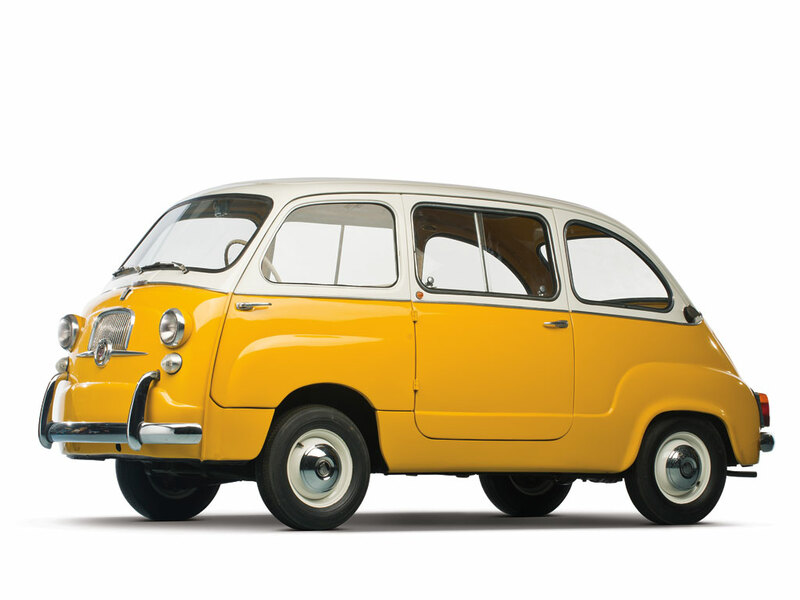 At the time we already had Regie the Renault 4cv and had fallen in love with the idea of getting an original Fiat Multipla, there was one in the Auction with a guide price of £500, so we went to have a look. It wasn’t that good, needed a lot of work and ended up selling for the best part of £3000. There is a Multipla in the upcoming sale, it looks much better than the one in 1997 (the catalogue photography is beautiful but obviously ‘processed’ so would be interested to see the real condition) but the current guide price is $50-60k! Mario will be watching the sale with interest, although to us he is priceless. Now what happened 15 years ago… well for Bruce it was the thrill of the chase that excited him and collecting and displaying his finds, so once he had sold his original collection he began collecting again and so here we are all these years later and the much improved and enlarged collection is going to auction again. Amongst the lots is a Peel Trident, the car that took our interest all those years ago. 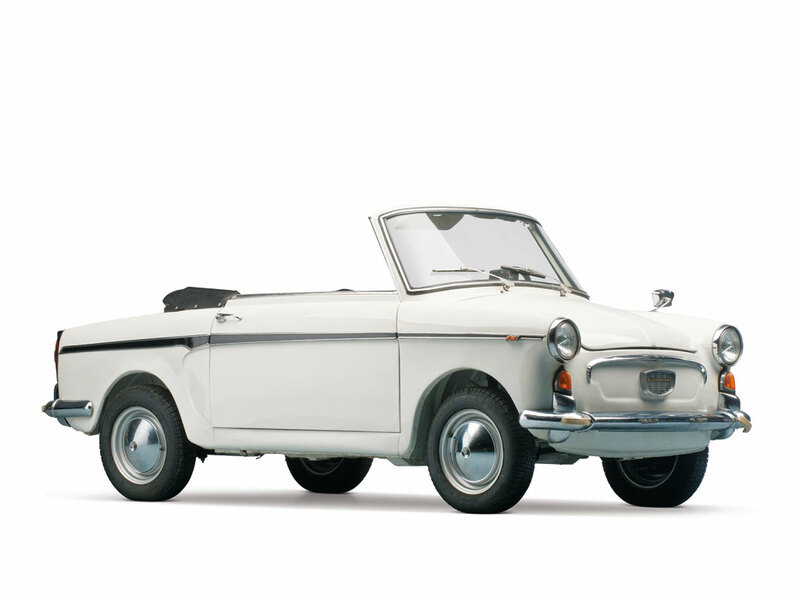 This 1966 model is now estimated at $40-50k not such a big increase as the Multipla. 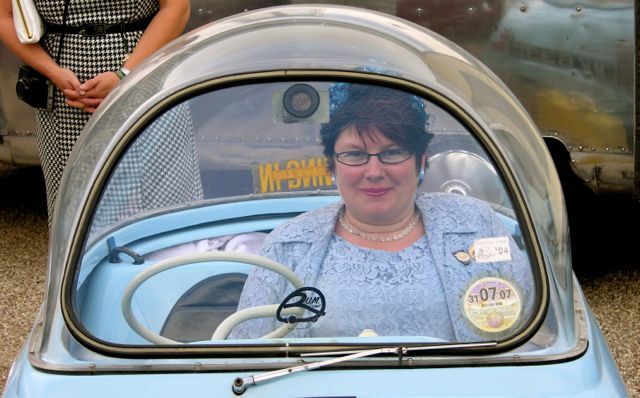 I actually got to sit in one at the Goodwood Revival in 2005 and there really isn’t much room but we always fancied having one so we could dress up and look like aliens. So what we would we bid on if we won the lottery. 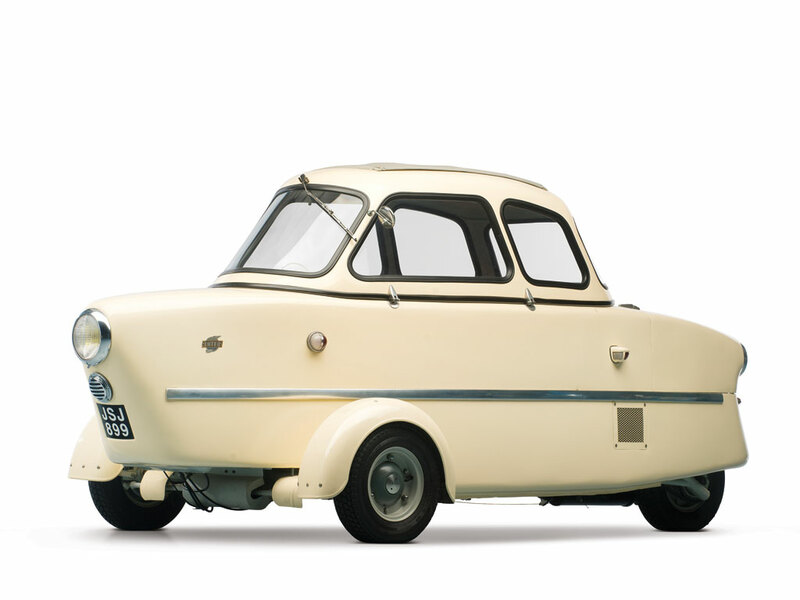 My favourite has to be this fantastic 1957 Jurisch Motoplan Prototype, it’s amazingly cute but with only three ever being made and an estimate of $50-75k looks unlikely to be joining the collection. 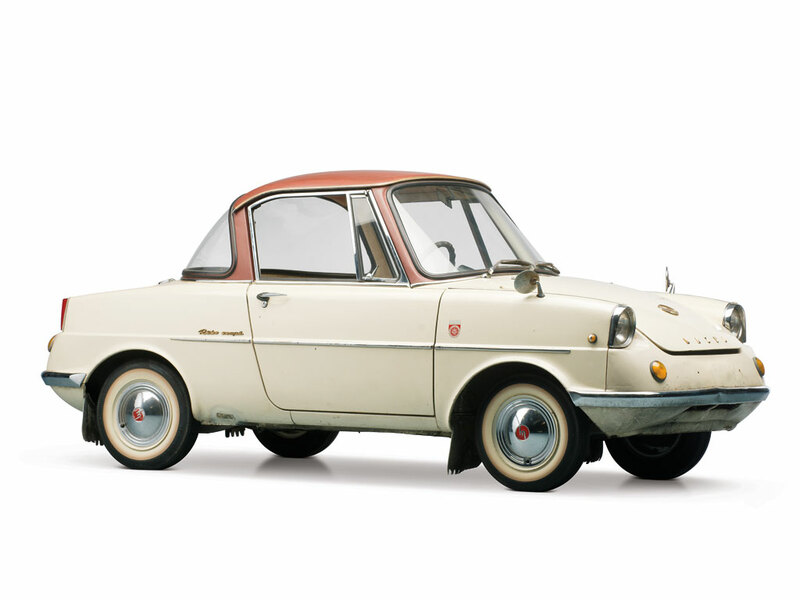 and this mad looking 1955 Inter 175A Berline $40-50k A beautiful 1959 Frisky Family 3 is more affordable at $15-20k Or this adorable 1962 Mazda R360 Coupe at $20-30k which would be a great stable companion for our Subaru 360. 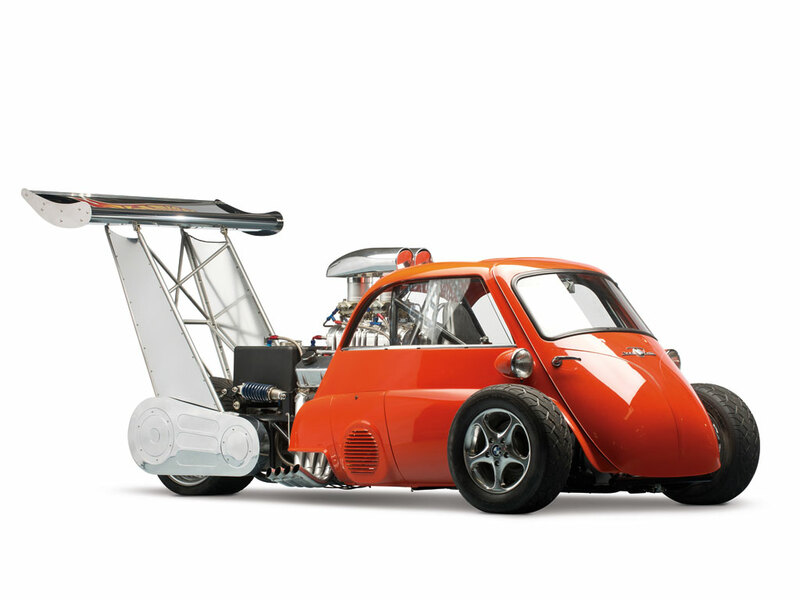 The maddest thing in the auction and probably the most expensive is the 1959 BMW Isetta “Whatta Drag” a working creation of a Hot Wheels model. Not sure how practical it would be though. See it run in this video. So if we come into a fortune in the next couple of weeks I will be bidding like mad for some of these beauties. 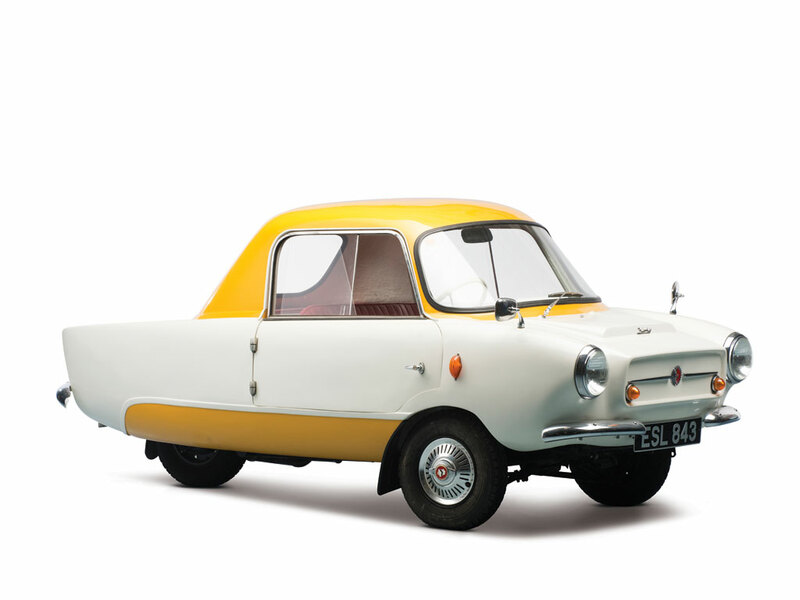 There are loads more oddities and rare examples plus lots of the more usual microcars up for grabs as well as an extensive collection of models and memorabilia, take a look at the online catalogue. RM are putting on a very slick auction with a fantastic ‘micro’ catalogue which runs to 800+ pages and I’m sure will become a collectors item in it’s own right but comes with an $80 price tag, to get into the auction itself there is a charge of $150 for two people, there seems to be lots of hype already so maybe the audience will be as excited as in 1997 and the already high estimates will be exceeded. I suppose this will be good for the small car market in general but frenzied bidding creating over high prices which will never be realised in the normal sales market and will only lead to disappointment when microcars are sold or valued after the event so we will have to wait and see. 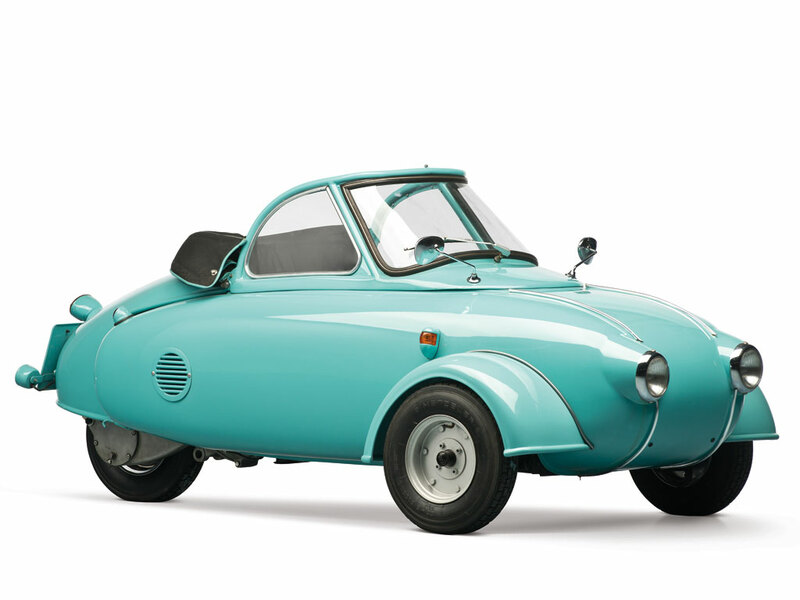 Whatever happens it will raise the profile of small cars around the world and hopefully more people will grow to appreciate them for what they are – great examples of design and above all such a lot of fun. After what seems like months of rain, New Years Day was bathed in sunshine with blue skies, so although Mario was left tucked up, we hitched a lift in our friends 3.4 Jaguar Saloon (MK 1) and had a lovely drive to The Elstead Inn, near Midhurst, West Sussex for one of many New Year car meets taking place around the country. A great selection of vehicles turned up for this popular gathering, both vintage and classics. We spent a great couple of hours chatting to like minded enthusiasts. The smallest car there was a tiny Austin Swallow. Personal favourites were a beautiful french BNC and the little yellow Austin 7. It was a bit disappointing not to have got Mario out as he would have loved being there but we had no idea it would turn out to be such a beautiful day and he is currently safely installed in a Carcoon, still there will hopefully be many more opportunities later in the year.